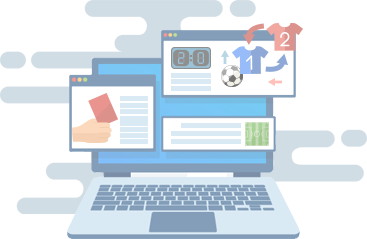 XML Sports Feeds provides 24/7 coverage on all the latest updates for injuries, suspensions, transfer rumours, official transfers, expected line-ups, official line-ups, live scores & match stats, and in-depth statistics for all players and clubs in the covered leagues. With our Data Coverage, if you subscribe to one feed, you already get full access to basic information including player profile, team profile, and league profile so you'll surely get more than what you subscribed for. Get reliable, accurate, and fast sports data for all the top football leagues in the world such as the English Premier League, Spanish La Liga, German Bundesliga, Champions League, Europa League just to name a few from our continuously expanding list of leagues.